The following Mississauga personal trainers are found from our directory. These personal trainers can be hired / asked questions about their rates, services etc through our form below. Personal training is an excellent way to motivate, excel and reach your fitness goals towards a new you. I take pride in conveying myself as a professional. My qualifications as well as passion are what separate me from many trainers as well as fitness enthusiast. I have attained a Bachelor of Science degree from a respected private university in the United States while being on an athletic scholarship. Representing Canada with regard to baseball was indeed a remarkable highlight in my athletic career. I contain a professional personal training certification through the National Strength and Conditioning Association which is classified in many health and fitness circles among the most elaborate and difficult to attain. Progressive Health and Fitness is the name of my private fitness facility. It is located in the heart of Mississauga within close proximity to the Heartland Shopping Centre. This allows me the flexibility to set appointments at the request of each one of my clients while providing them the opportunity to train in a private setting. Please feel free to contact me via e-mail or phone to set up your FREE introductory training session. Hi I'm Christopher, Personal Trainer and Bootcamp Specialist. I have been training for over 6 years and have helped hundreds of clients in the Mississauga area lose weight, get in shape and improve their health. I have written health and fitness articles, given corporate presentations and have appeared on television doing segments as the subject matter expert on weight loss, holiday weight gain vs loss strategies and the importance of strength training. If you are looking for a professional experienced trainer, with a proven system that gets results, AND if your ready to explore your limits and make simple changes to your health and life to gain BIG results. Contact me. I'll get you to where you are going. ALL Personal Training Programs include a full nutrition plan and receive my Weight Loss Manual with step by step strategies for success. Sick of not getting results? Want to look and feel great? IF YOU ARE SERIOUS ABOUT GETTING FIT, MAKE SUMMER 2010 YOUR YEAR TO FINALLY GET YOUR DREAM BODY! I will show you how to achieve your goals of losing weight & keeping it off for good. I am an experienced, knowledgeable, female ISSA CERTIFIED TRAINER and I will show you the effective workout techniques that will get you real results without boring you to death! The variety of routines will keep you burning fat and shedding all those unwanted pounds. Get your detailed recipe for success specifically tailored to your current fitness level. Your transformation will give you back your confidence & you will feel fantastic. I am results-driven and dedicated to my clients, which you will surely notice & definitely appreciate. My name is Guy Aramini and I have been training clients for over 12 years in Mississauga. I am a certified Personal Trainer Specialist with the Canadian Fitness Professionals and am driven by your personal fitness goals. I am also certified in Pilates Instruction/Fitness Kickboxing/Equalizer Athletic Training. I have also been teaching for over 12 years in Martial Arts with styles such as Tiger Fist (3rd degree black belt), Chito Ryu Karate (1st degree Black), GoJu Ryu Karate (1st degree Black), and Hapkido (1st degree Black). 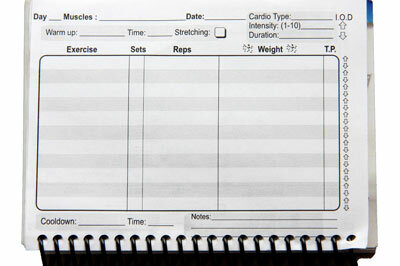 I can help you achieve your personal fitness goals by designing a workout geared towards your needs. Call today and take advantage of a free fitness consultation and workout! I went to school in South Carolina on a baseball scholarship. I also played professional baseball as a catcher and a pitcher. To be a catcher you must be well conditioned, very mobile, strong, and agile. To be a pitcher you must be endurable, powerful, balanced and flexible. I had to learn to change my body type and mechanics so human movement sports and everyday movement correction has become a hobbie of mine that I can you to help lose weight, gain lean mass, increase your strength or anything else your goals may be. I have a Bachelor's of Science in Exercise Science from South Carolina, Certified with CPTN and CPR. I have experience with weight loss, strength and conditioning, power lifting, agility, speed, plyometrics, crossfit, flexibility nutrition and olympic lifting. I am looking to help clients who genuinely want to change their life and acheive the goals that they set out for themselves. Everyone needs to be mobile and increase their flexibility, strength and conditioning. Ihave my own facility in Mississauga by the Hersey Center. The Facilty has a 1500 square foot turfis room a 900 square foot free weight room. Both for running, sleds, speed, agility and boot camps, weight training and flexibility. There is no membership required. I also do in home training. I have been training for 17 years and have recently open my own training facility in Mississauga with a full weight room and a room full of turf for athletic training and sled training. I am looking for all types of clients because i have a passion for helping people better themselves, not just physically but mentally and changing their lives for the better. I am offering a lower rate for training because i believe that everyone should be able to train without the stress of the price. I offer the best training in the city with the lowest prices always. Contact me so we can get started asap! I am a Personal Trainer, Kinesiologist and Gymnastics coach. I have over four years of experience as a personal trainer and over two years of experience as a kinesiologist. I have also been involved in the sport of Artistic Gymnastics for over eight years both as a coach and an athlete. I am also a martial artist, with several years of training in contemporary Wushu (Taolu) and also Genbukan Ninpo. I believe in teaching fitness. Education is much better than dictation. If you're interested in becoming a competitive athlete or just looking like one, you can take a road less traveled with my training approach. I will teach you proper principles of health and fitness. Lean Body studio, located in Mississauga,serving Oakville, Brampton, Etobicoke, and Milton. Lean Body Studio specializes in one-on-one personal training for clients who want to pursue and meet their fitness and weight loss goals. Each and every one of our clients receives unique and personalized training to help them achieve their goals. We also educate our clients on the importance of healthy nutrition, proper technique of weight training, motivation and discipline. We set up all of our clients for success and positive lifestyle change. Lean Body Studio’s focus is working with young professionals who have trouble getting to the gym because of their busy lifestyles, as well as young adults growing up with body weight issues who are not able to lose the weight on their own. We work with the parents to also help their children stay active and teach them about a balanced nutritional diet. Martin is the owner of Personal Victory. His designations include Certified Personal Trainer, Pre-Post Natal Exercise Specialist and Twist Sports Conditioning Specialist (Twist SCS). His areas of specialty include weight loss, functional training and sports conditioning. He has also worked with clients from various sports including rugby, triathlon, soccer, tennis and football and he has coached individuals to national level competition, and successful finishes in Ironman competition. Martin worked in the social services sector for years, volunteer coaching for local teams and providing workshops on healthy lifestyles. Martin has been featured on the cover of fitness magazines, modeled for athletic apparel companies and he has contributed articles for various wellness related media. I'm an easy going technical type of trainer that teaches the importance of an overall conditioned body with a proper nutrition program. Worked at High End facicility teaching Calisthenics progressions for beginners and intermediate students. Fitness has to be fun. It a world where time is scarce and stress is plentiful, my role is to be a drill sergeant with a sense of humour. I will maximize what time you have to get the most results. Offering trusted, in-home personal training in Mississauga, Brampton, Oakville and Burlington, Sean McCombe offers a wide variety of fitness programs from anyone looking to get fit. from new and expectant moms to people looking for athletic training, people searching for nutrition counselling and we even offer special needs services, all with a fun, goal-oriented approach. Our head trainer Sean believes in empowering his clients through positive feedback and attention to specific goals. He works with women and men of all fitness levels and with a wide variety of goals. Sean has a Bachelor of Physical Education with a major in Disability Studies, as well as a Bachelor of Adult Education. He is certified through Can-Fit Pro and has been working as a personal trainer since 2009. I am a Nationally certified Personal Trainer and certified Kinesiologist (rehabilitation therapist). I provide in home and in studio personal training and group fitness classes (boot camp and yoga). I am the author of the "Evolution Training Manual"; a fitness and weight loss, step-by-step, hand book for weight loss and nutrition. If you are looking for a fun dynamic, no-nonsense program that delivers results, as well as coach that will be there to push you to your full potential...contact me. Lifestyle Packages: *No equipment is needed. 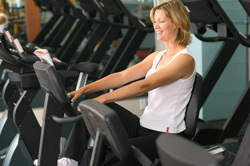 Your Mississauga personal trainer will provide everything you need to pursue health and better well-being.